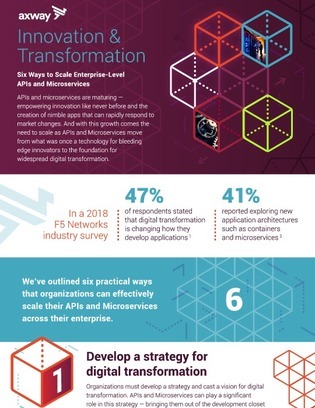 APIs and microservices have reached widespread adoption, empowering organizations everywhere to create nimble apps that rapidly respond to market changes. But APIs and microservices are no longer just for modernizing a select few apps; any new app created today should be built with APIs and microservices in mind. How can you scale APIs and microservices across your entire organization? Check out these 6 best practices for implementing enterprise-wide APIs and microservices, from refactoring existing monolithic applications, to embracing a management methodology that works for you, and more.